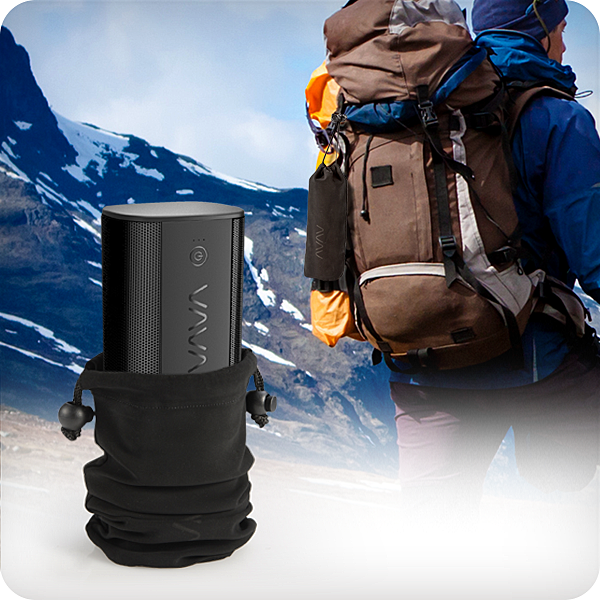 Fully enjoy a compact and lightweight build that’s easy to carry around and store. 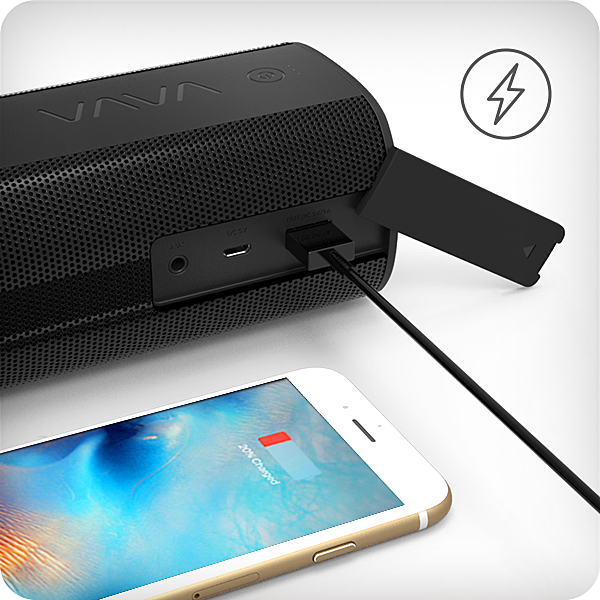 Easily charge your own devices on the go thanks to the built-in USB port. 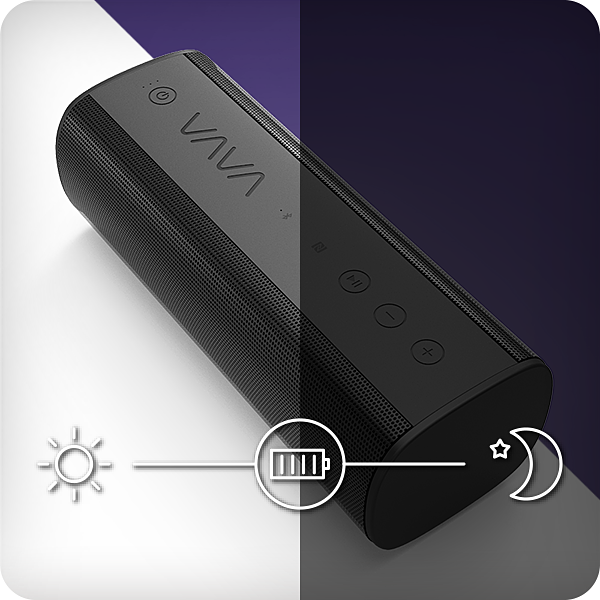 Benefit from a 5200mAh lithium-ion battery that’ll give you as long as 8 hours of uninterrupted music streaming. 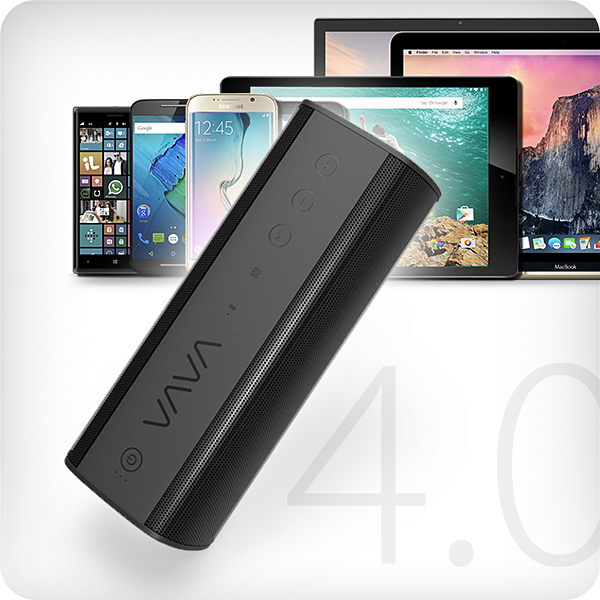 Fully compatible with all devices supporting a Bluetooth connection. 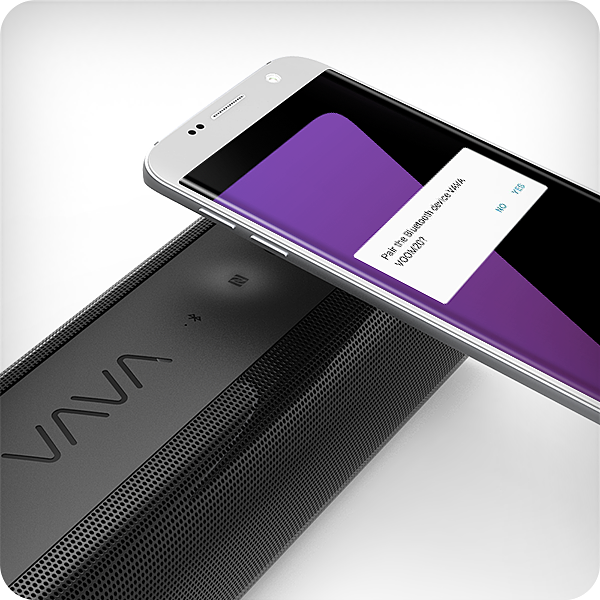 Seamlessly connect over NFC and save precious power for extra music streaming. Pair up to two devices at once and easily switch from one to the other. Stop worrying about a little water splashing your speaker. Get the party going no matter where you are, whether that is at home, on the beach, and even by the glittering water of the swimming pool. The speaker’s rubber-reinforced design and its IPX5 splash proof rating make it the best party companion in any situation. When Fun calls, VAVA is the answer. 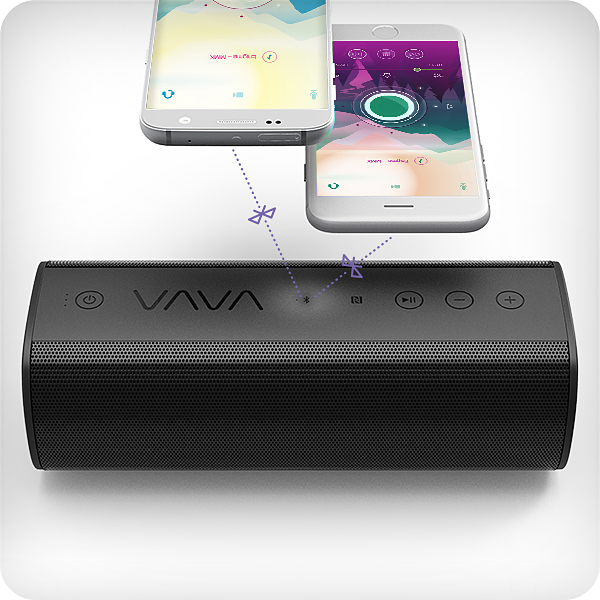 Whether it is via NFC, Bluetooth 4.0, or a conventional 3.5mm AUX audio cable, it’ll be just as easy to connect the VAVA Voom20 and get the music pounding. If it is via Bluetooth connection you decide to go with, get ready to enjoy up to 2 devices paired at once and the possibility to seamlessly switch from one to the other at will. Free the DJ inside you and AWE the fun out of your friends.